The Los Angeles Cleantech Incubator (LACI) is launching the Santa Barbara hub of Energize California, a new initiative designed to strengthen the region’s clean energy economy, on Wednesday, September 6 from 6:00 - 8:00 p.m. at The Sandbox Santa Barbara at 414 Olive Street, Santa Barbara, CA 93101. Titled “From Policy to Technology: Charting Santa Barbara’s Clean Energy Future,” the launch will showcase local and regional advancements in clean energy technology, policy, and implementation, and foster discussion about the next steps that need to be taken. Featured speakers include April Price of Community Environmental Council, Gary Barsley of Southern California Edison, Kelly Ferguson from the Los Angeles Cleantech Incubator, and Jeff Horowitz of NEXT Energy Technologies. The event is cohosted with StartupSB, a local networking organization for entrepreneurs. More details on the event can be found at https://goo.gl/VmKfe8. The event will also introduce LACI’s Energize California Innovators Program, which aims to assist new clean energy start ups. Qualified applicants will receive access to a system of support services and referrals to accelerators, incubators, pilot programs, and facilities for testing and prototyping facilities. The Energize California initiative will host regular events in the area to facilitate networking opportunities with industry thought-leaders, funding sources, and strategic partners. The online application can be found here: http://reic.wpengine.com/energizeca-innovators-application. Funded through a six-year, $5 million grant from the California Energy Commission, Energize California is part of the Commission’s statewide initiative to meet increasing demand for innovation in the energy sector. Clean energy technologies can include renewable energy, energy efficiency, energy storage, microgrid controllers, demand response, EV infrastructure, and more. As one of four similar programs in the state, Energize California’s regional focus is on the Counties of Santa Barbara, Ventura, Los Angeles and Orange. In addition to supporting entrepreneurial ventures, Energize California will work to flesh out the network that allows startups to source pilots, access funding, and find needed technical and industry support. This includes helping identify, connect, and convene the many organizations, businesses, and other groups dedicated to building a clean energy future. Locally, Community Environmental Council is acting as the regional hub, supporting with grant writing and networking, and also housing Ferguson. Other Energize California partners include the County of Los Angeles, the City of Los Angeles, Southern California Edison, Los Angeles Department of Water and Power, Sustain OC, the California State University System, the LA Business Technology Center, Cleantech Open, CalTech’s FLoW and Rocket Fund programs, and the Los Angeles Economic Development Corp. To learn more about Energize California and sign up for news, updates, and energy events, join their network at www.energize-ca.org. 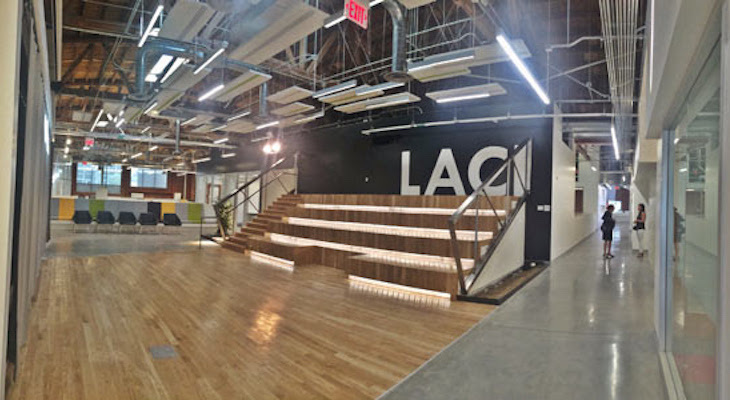 The Los Angeles Cleantech Incubator(LACI) is a non-profit, public-private partnership that helps promising companies deliver market-ready cleantech solutions and the jobs that come with them. Recognized as one of the most innovative business incubators in the world by UBI, since 2011, LACI has helped more than 65 companies raise $130M+ in funding, create 1,500 jobs, and deliver more than $335M in long-term economic value. LACI incubation services combine mentorship, access to funders, partnerships with research institutions, and connections to utilities, public agencies, and customers to help cleantech startups attain success. Learn more at LAIncubator.org. Since 1970, CEC has led the Santa Barbara region – and at times California and the nation – in creative solutions to some of the toughest environmental problems. CEC innovates and incubates real life solutions in areas with the most impact on climate change. Our programs provide pathways to clean vehicles, solar energy, resilient food systems, and reduction of single-use plastic. Find CEC on the web at CECSB.org and on Facebook.com/CECSB and Twitter.com/CECSB.